This painting was created for my mother-in-law. When she visits our home, she always comments about how much she loves a previous poppy painting I completed years ago that still hangs on our wall. I was always amazed with the amount of admiration and love she had for the painting. 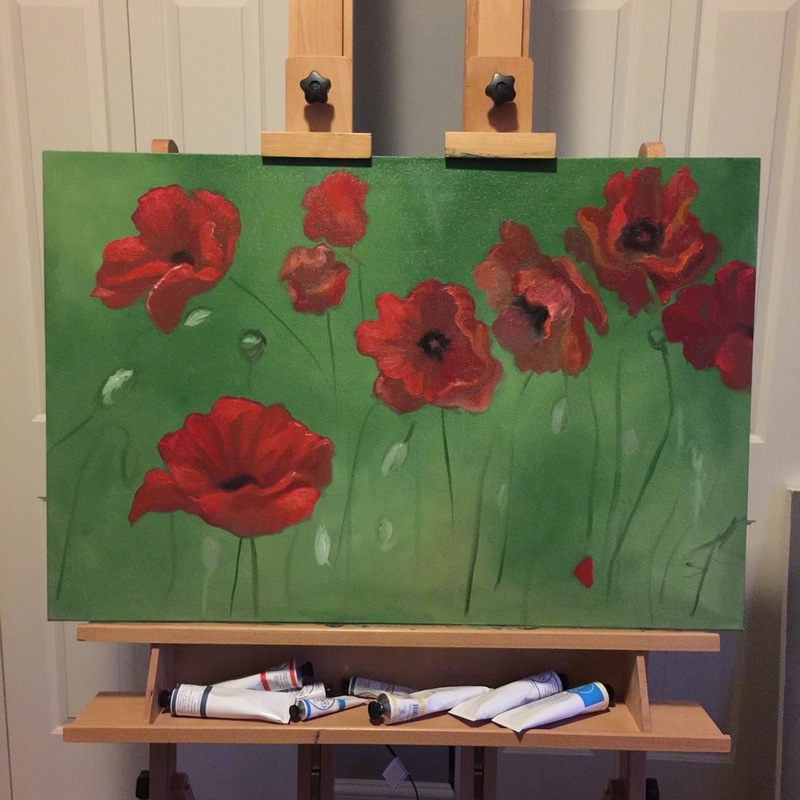 Unfortunately the painting would not work with her decor, so I never wanted to gift it to her, so I decided I would create a poppy painting that would compliment her decor and hopefully bring her as much joy as my other poppy painting. I really didn't know where I was going to take this creatively take this painting. I did know I wanted it to be in a field with a low hanging hazy sun in the background. I loosely painted the green undercoat and roughed in the flower shapes and just started painting. I let the painting take shape and form with every stroke. I liken it to making shapes out of puffy clouds. I would step back and study the painting. Looking for shape, shadow, or highlight that would direct my next move. It is a very organic way of painting which I truly enjoy. 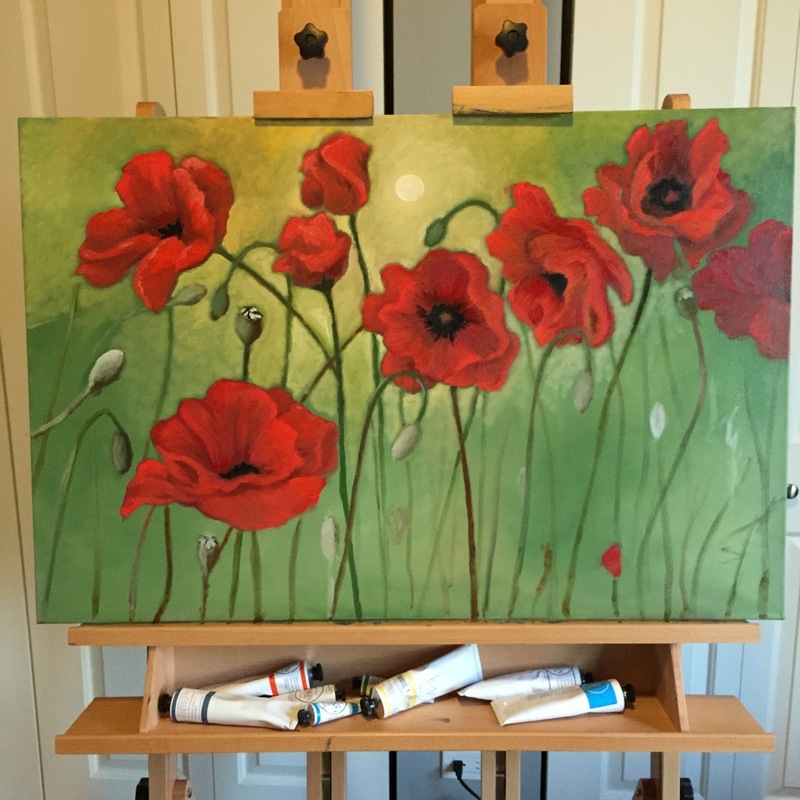 "Poppy Afternoon" — Oil on Canvas 23"x30"